With one iconic cake pan, a Minnesota man cemented his place in the American baking tradition and established a powerhouse that remains family-owned and the go-to brand for home bakers around the world. Nordic Ware‘s Bundt Pan: It’s simple, ring-shaped, and all-American, with sculpted curves and a perfectly golden crust—no frills or frosting required. The Bundt is elegant yet effortless. For more than five decades, it’s been a staple at potluck picnics, holiday meals, and every celebration in between. 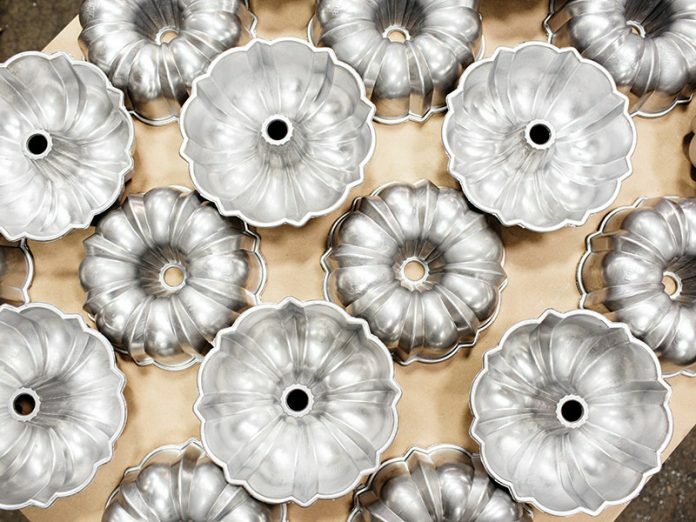 Take a look below on how the famous Bundt pan is made and check out our 2018 September/October Issue, here, to learn more of the history of Nordic Ware. 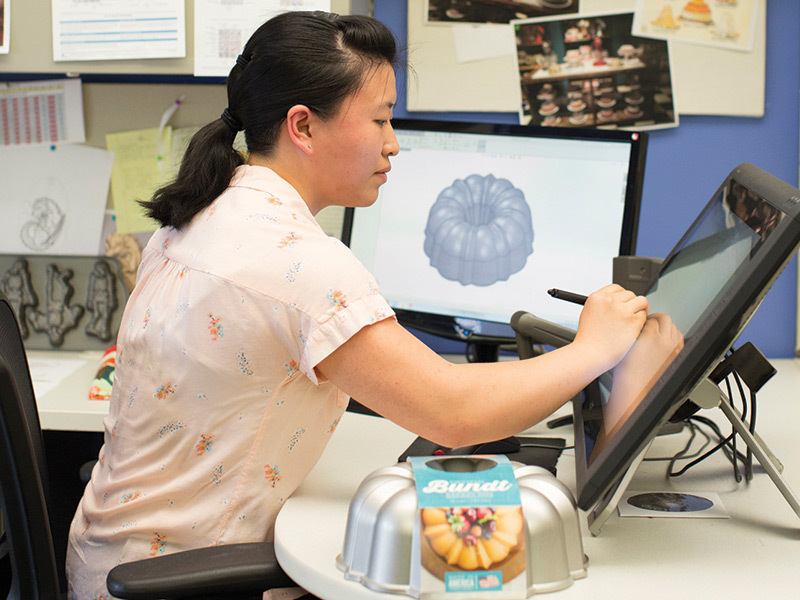 An industrial designer digitally sketches a Bundt design. 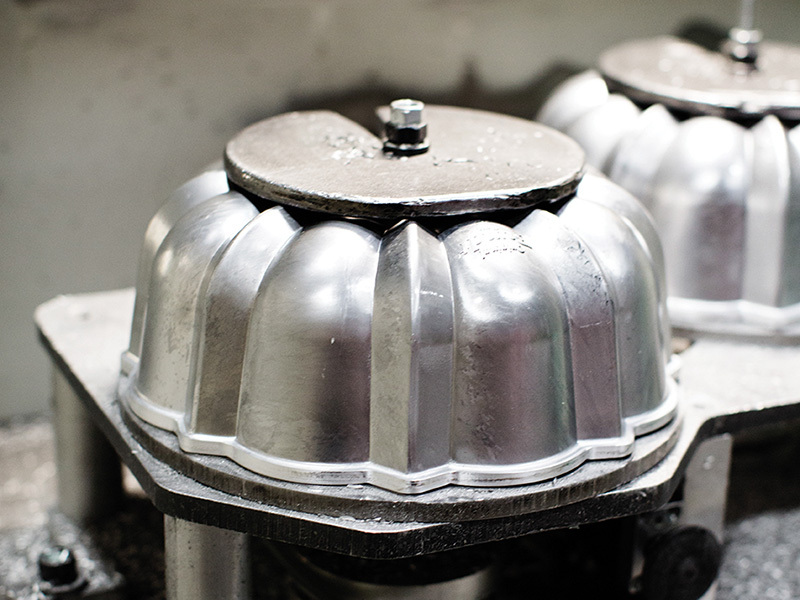 A 3D model of the classic Bundt has all the information needed to create tooling to make the pan. 2. The pan has a rough perimeter before an automated machine with a high-speed drill bit cuts the metal off. 3. 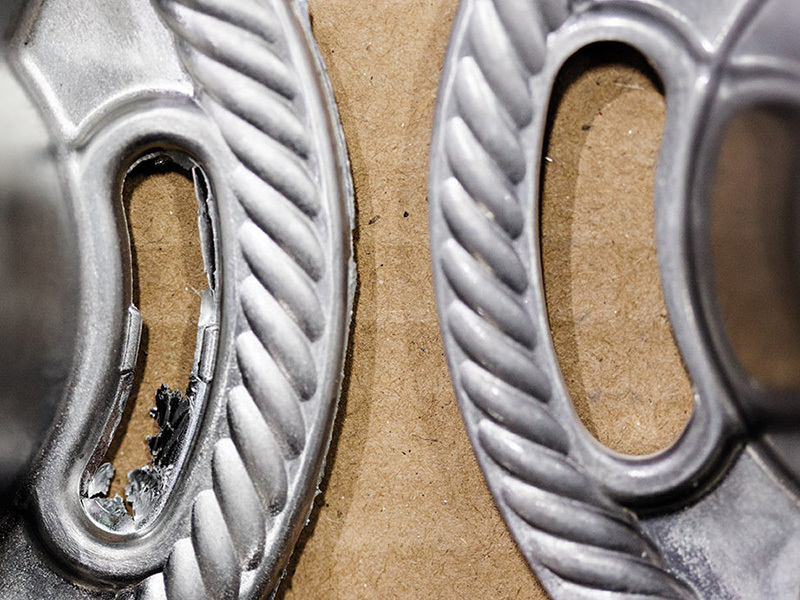 The drill bit shaves off the rough metal to give it a clean, crisp edge. The leftover aluminum shavings are then recycled. 4. 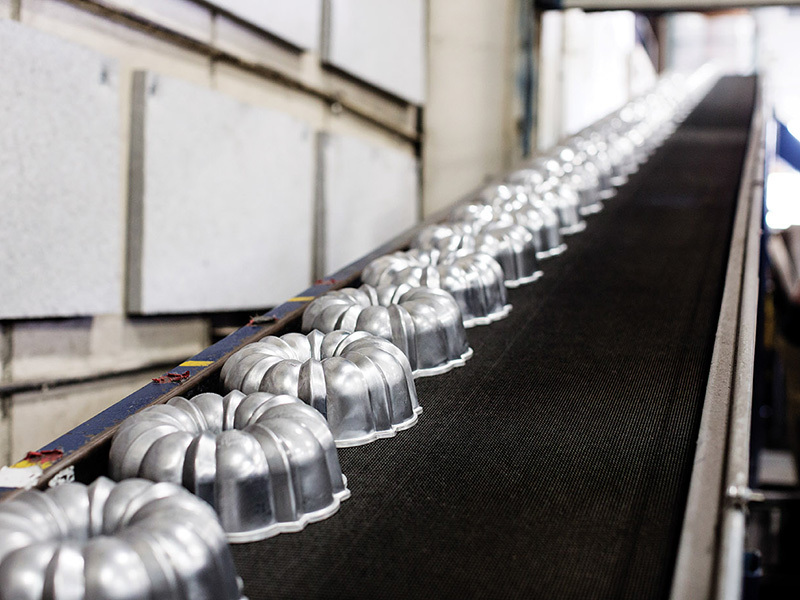 Bundt pans travel up a conveyor line into a vibratory deburring machine, which is basically a giant rock tumbler. I love Nordic Ware. I have about 8 different Bundt pans, and have made padded bags to protect them. I also have a couple of cake pans, specialty bread pans, and utensils. Grandkids love to bake and make a different shaped Bundt cake for the different seasons. Great product. I als love my Nordic cake pans. They are so easy to bake and just add powders sugar or a glaze and you are done. I always add a box of intant pudding mix to the cake mix. It add so much. This is interesting, clearly a challenging process that they do a great job with. The biggest challenge for me is properly greasing the inside of a pan to ensure my ‘creation’ doesn’t stick. What does Nordic say about the best way to do this? I took a cooking class at the Nordic Ware factory in St. Louis Park, MN and they said to brush it with melted and slightly cooled butter and a pastry brush. If you don’t like the look or final product of dusting it with flour, try coca powder or superfine sugar. Works for me every time! I use Bakers Joy cooking spray with flour in it. Works like a charm!! Just bought my first Bundt Ware pan. I was delighted at the weight and quality of this pan. I am so happy that I invested in this product, and have now ordered 4 more pans. The recipes are wonderful as well.